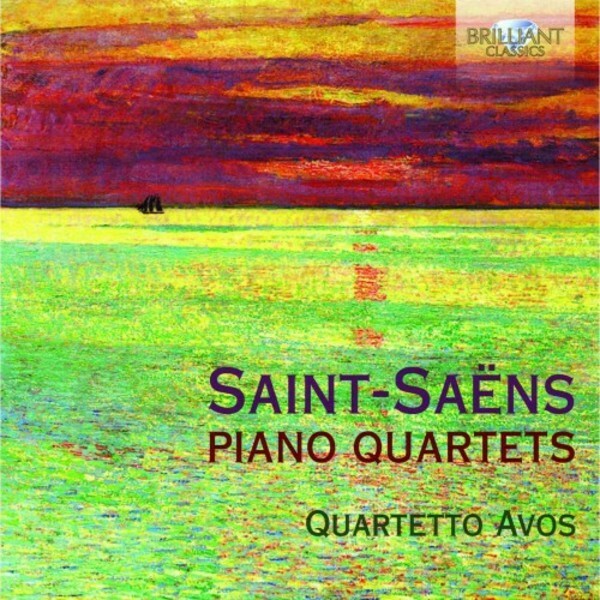 The two Piano Quartets by Saint‐Saëns on one CD. Camille Saint‐Saëns was a highly prolific and eclectic composer, two adjectives which may bear a negative undertone, but not in the case of Saint‐Saëns, a genius who absorbed all current musical styles and forged them in his own inimitable, unique language, extremely well‐crafted, intelligent, charming, brilliant and with an astonishing gift for “a good tune”. This new recording presents the two piano quartets, virtuoso works which deserve a firm place in the concert repertoire. These are brilliant performances by the Italian Avos Quartet, who play with “perfectly blended sound with unusual ease” (the Italian magazine 'Archi'). Booklet contains detailed notes on the works, as well as artist biographies.